The sequencing boom and the China’s burgeoning healthcare market were major topics of interest at the annual JP Morgan Healthcare Conference earlier this month. WuXi NextCODE looks forward to addressing these evolving topics further in the upcoming BIO CEO and Investor Conference in New York in February, BioCentury “Future Leaders” conference in New York in March, and Cowen & Co. Healthcare Conference in Boston in March. Like thousands of people across the biotech, pharma, and healthcare industries, we started the year with an intense and very productive week at the annual JP Morgan Healthcare Conference. As ever, we were very pleased to meet with so many colleagues and partners—old, new, and future—and to speak to a truly packed audience during our presentation at the conference. We have returned to work excited for some of the trends in genomics that are clearly in the air. It was no surprise to us that the sequencing boom was again one of the hot topics for 2018. The bigger question among healthcare experts was, “What companies will be riding this wave, and how will they harness the data to move the needle across healthcare?” Another interesting trend was growing recognition of how large, fast-growing, and innovative China’s healthcare market has become. That’s no surprise either, as China is actively working to become a leader in this field, and its healthcare market is now expected to grow to around $1 trillion by 2020. WuXi NextCODE is playing a significant role in the evolution of both these fields. One of our main focuses is building our partnerships to ensure that our database management system continues to develop as the global standard. That, and our portfolio of products in China, are poised to play a key role in helping China vault to the fore of genomic medicine. Regarding sequencing, a lot of the buzz at JP Morgan was around sales figures for instruments. Analysts have estimated that the world market for next-generation sequencing could reach more than $21 billion by 2025. But the challenges in sequencing have moved far beyond the original issues of speed and cost. Now, those at the forefront of the field are focusing on improving accuracy, integrating multi-omic and clinical data, and using advanced analytics to apply that data to healthcare challenges. High-throughput sequencing is flourishing in industry, academia, non-profits, and medical practice. The goals are to improve current treatment outcomes and to find new drugs and diagnostics. Prominent sequencing instrument providers, such as Illumina, are bellwethers of this market. Analysts attributed that company’s current healthy sales to factors that include: the growth of the consumer genetics market, the continued rise of targeted cancer therapies, increasing numbers of countries pursuing large-scale genomic studies, advances in sequencing to diagnose rare diseases, uptake of non-invasive prenatal testing, and the dawn of liquid biopsies. We have leading and innovative offerings in all of these areas. 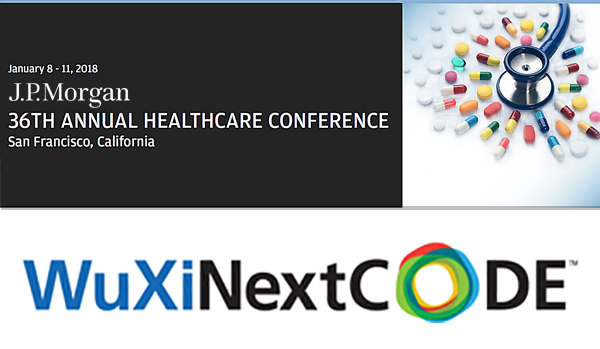 The recognition of China’s emergence as a major healthcare market also resonated with the Wuxi NextCODE team. In another recent report, Cannaccord analyst Mark Massaro pointed specifically to increased sales in China of Illumina’s sequencers as one of the factors influencing that company’s currently rosy outlook. He also highlighted our positioning to drive genomics forward there. Many life sciences companies are starting to see the potential of China’s healthcare market, and Chinese healthcare providers are eager to provide the highest level of care possible. We at WuXi NextCODE have been privileged to be at the frontier of genomic medicine globally, but particularly in China, where we have multiple partnerships with leading hospitals and are quickly expanding our laboratory and sales presence. The breadth and promise of our work in China was recently highlighted in a roundup coming out of JP Morgan. I’m sure that both sequencing and China’s healthcare marketplace will evolve further over this year and will be major stories again in the weeks and months ahead. And we’ll be telling our part of the story soon at the BIO CEO and Investor conference, BioCentury’s Future Leaders conference, and the Cowen & Co. Healthcare conference. Louis Yuan will lead the growth of WuXi NextCODE’s China businesses, sales, and other operations based out of the company’s Shanghai site. 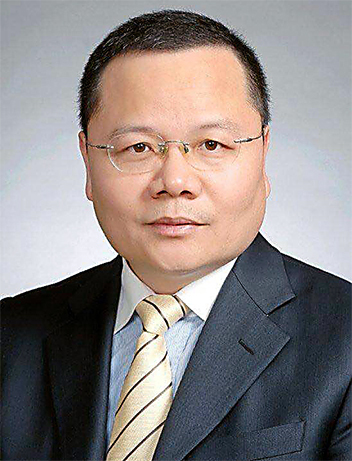 I’m pleased to announce that Louis Yuan has joined WuXi NextCODE‘s team as senior vice president and China General Manager based in Shanghai. This is a major milestone for us, since further expansion and commercialization of our genomics platform in China is one of our strategic priorities, and Louis is the ideal person to lead that charge. He has a stellar record of commercial success, scaling businesses, and managing sales teams more than 300 strong. He has also achieved multiple triple-digit revenue ramps in the past. Further, his experience supports our broader mandate as a fully integrated contract genomics organization (CGO) building the global standard platform for genomic data. Among Louis’ outstanding accomplishments: He has held senior sales and marketing positions at such renowned businesses as Becton Dickinson, Sanofi Pasteur, and Pfizer, where he led the company’s launch of the blockbuster vaccine, Prevenar, in China. For the complete announcement about his appointment and its significance, read more in our press release. This week, we announced a breakthrough partnership applying artificial intelligence to the study of genetic variants associated with obesity. Rare metabolic syndromes cause excessive weight gain in some patients. These conditions are very difficult to treat and lead to related health risks. 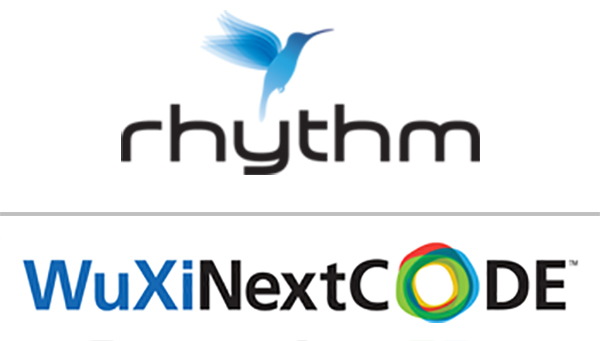 Now, WuXi NextCODE is working with Rhythm Pharmaceuticals to use AI to help advance the development of drugs to treat such patients. We’re excited to be doing this work because several key genes are known in the MC4R pathway, which helps regulate weight by increasing energy expenditure and reducing appetite. We’re now working with Rhythm to determine which of these variants correlate with the greatest impact on risk of developing obesity through this pathway. This is one of the frontiers of rare disease research, and we hope to make rapid progress with our novel AI tools, including our proprietary DeepCODESM algorithm for variant scoring. Learn more about this intriguing research here.